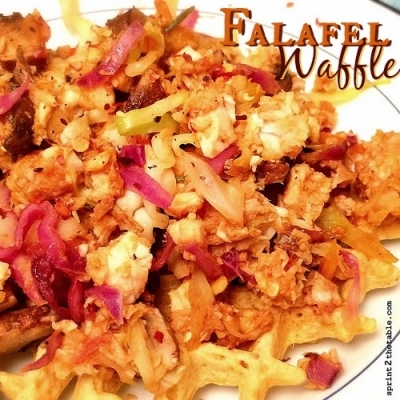 It may seem strange to make a savory waffle, but I assure you that this (vegan) Falafel Waffle is not awful. Plus, it's fun to say! In a small bowl, combine the dry ingredients. Stir in the water and set aside for 1-2 mins while the waffle make heats up. This allows the batter to thicken slightly. Pour into waffle iron and cook according to your waffle makerâ€™s instructions. Plate and top as desired.